My mom makes the best Thanksgiving turkeys. She marinates them in mojo, a Cuban marinade which makes then turn out not only extra tasty, but also moist and juicy. This is her recipe. You can find the original on her site, here. Defrost your turkey 2-3 days prior to baking. Once defrosted, check the insides for a bag of giblets. Remove and save for some turkey soup! Rinse your turkey under some cold water and return to a deep baking dish, breast side down. In a bowl, prepare your marinade. Rub some salt and paprika onto your turkey. Pour over your turkey, making sure to rub the garlic into the skin and get a large portion of the marinade in the cavity. 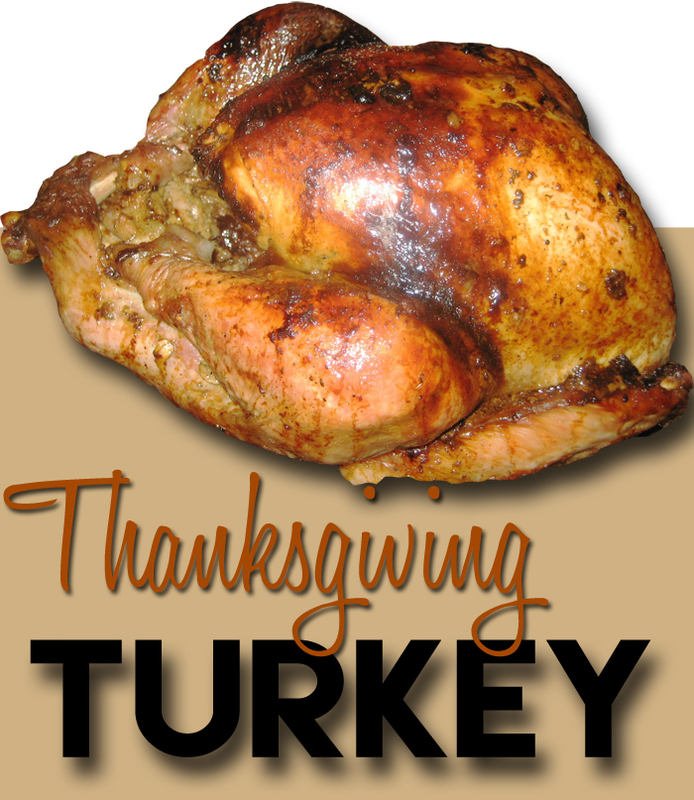 Cover your turkey with ceran wrap and place in the fridge until Thanksgiving day. On Thursday, pre-heat your oven to 325 degrees. Place your turkey in your baking dish, breast side up. Cook for 4 hours and then check to see the color of the skin. If the skin is at the desired crispiness/brownness cover loosely with aluminum foil (after basting) and cook for another hour. The juices should run clear when pierced.